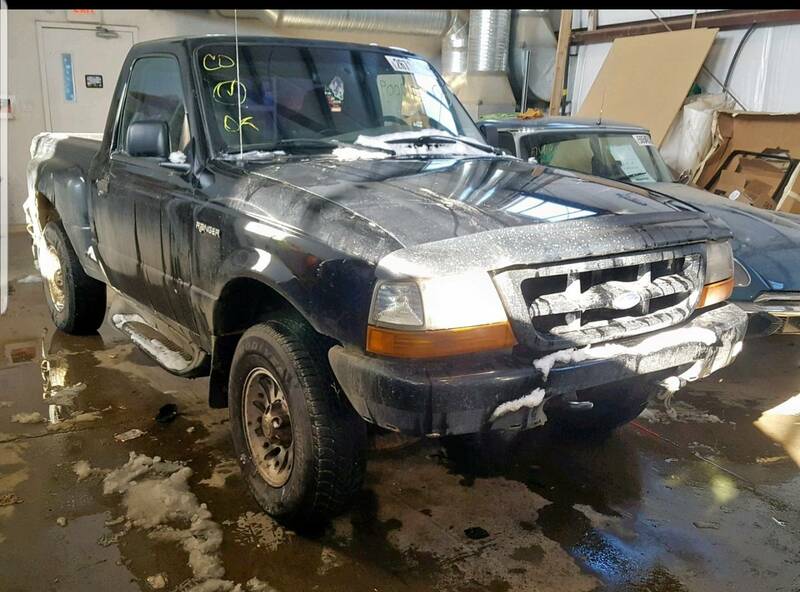 Well after 4 years of not owning a ranger I bought another one, just have to go pick it up. 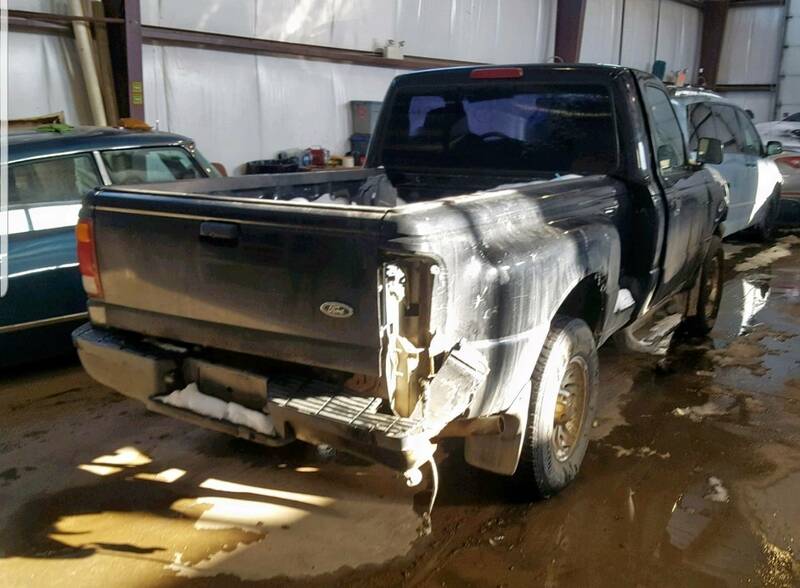 It's a 99 regular cab 5spd 4x4 styleside that has some damage to the rear end. Planning on lifting it and turning it into a flat decked hunting rig. Here are the only pics I have which are from the auction site. Will be trying to do a build thread for this truck since the last ranger I had was pretty much built by the time I joined. Re: Got a new to me project... I'm back! Well picked the truck up today, so far the to do list is wash it, then figure out why 4x4 isn't working. Got her rinsed off to see what the damages are and so far not to bad. Got the bed and rear bumper off last night. Found out why the e-brake doesn't work... line is pulled out from the drum on the drivers side and tucked up into the frame rail. On the bright side the damage doesn't look like it extends to the frame. Should be a cool hunting rig if you get it done. Well, I'm waiting for all my rear end parts to come in so I decided to start tearing apart the doors to clean the latches so the dome light works properly, then pulled out the speakers to see if they were hooked up properly as I wasn't getting any sound from the doors... well whatta ya know. Lol.